Tomorrow, the NBA will be debuting the "Name Collection". After creating buzz at the start of the season, the idea will become a reality. The Miami Heat and Brooklyn Nets have been selected to highlight the line, when they play tomorrow night. Players will be wearing game jerseys with their popular nicknames on them-- Lebron will wear "King James", Paul Pierce will wear "Truth", and Ray Allen will rock "J. Shuttlesworth"--to name a few. 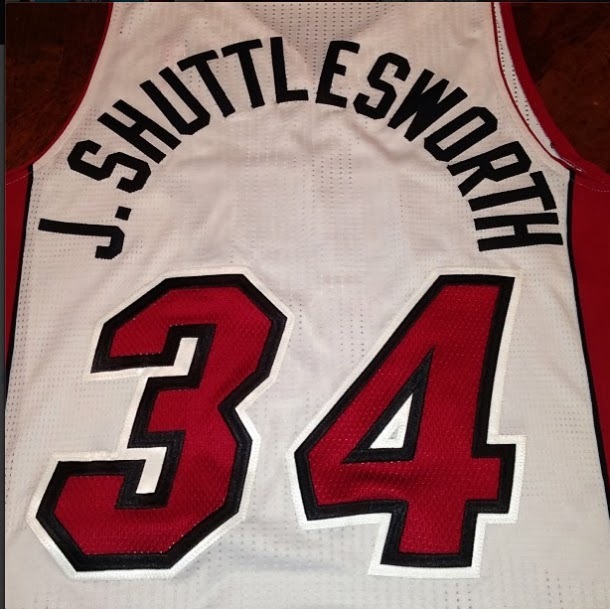 The Shuttlesworth jersey is pretty timely, as we've heard a lot of talk about Allen and famed director Spike Lee considering a sequel to the 1996 film "He Got Game". This game should be a sight to see. Which players do you want to see with nicknames on their backs?? For more sports fashion, check out these designer football helmets on Chi City Fashion!